Captain John Smith here providing an update on the progress of the crew on the Chesapeake National Historic Trail. 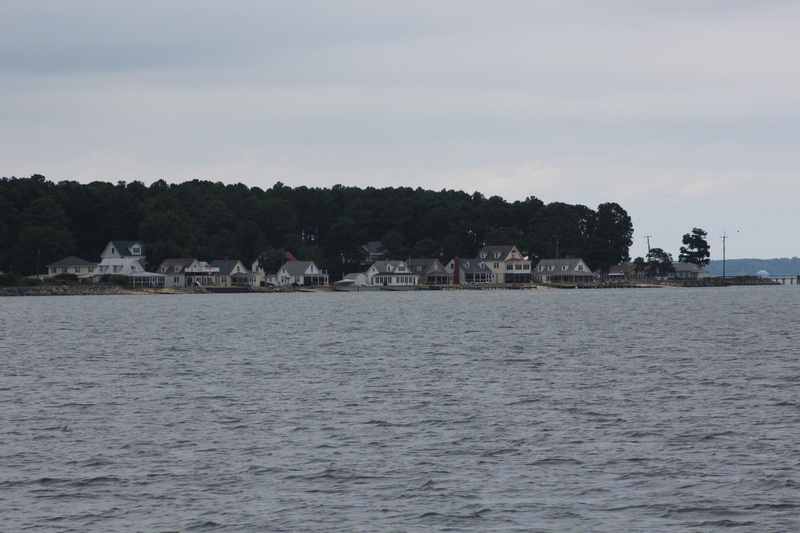 The crew left Norfolk on Tuesday, September 8th and went north up the Bay to the small town of Deltaville. 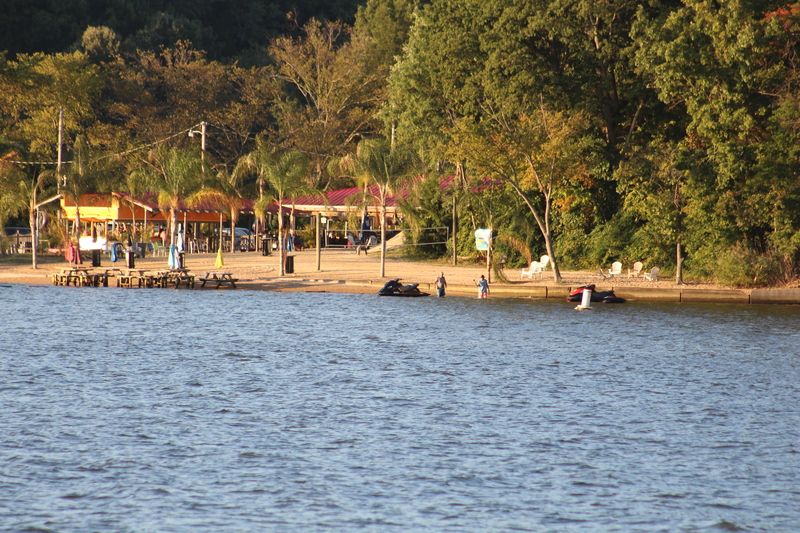 After a one day layover, the crew set out for a side trip up the Potomac River. 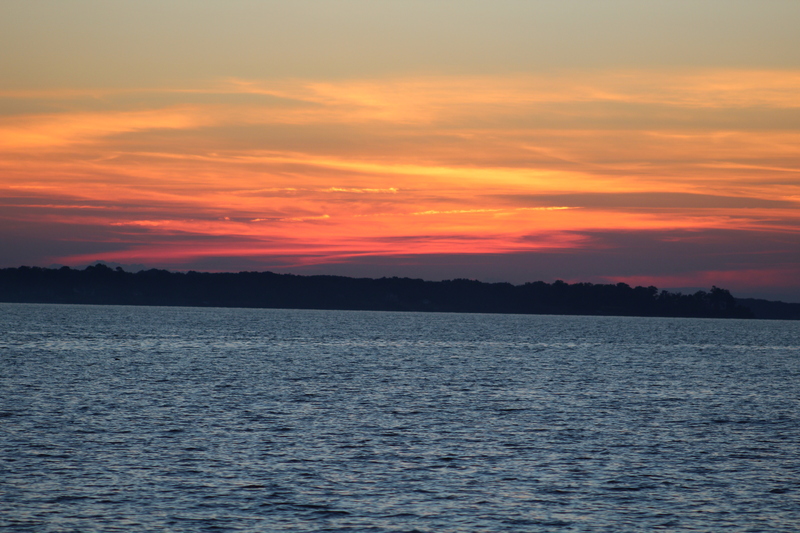 The run to Deltaville took the crew near the Stingray Point buoy. This area brings a flood of bad memories. First my ship ran aground on July 17, 1608. To pass the time waiting for the tide to float us off, we began spear fishing. I was stung by a large stingray. I thought I was going to die. I actually ordered the men to dig my grave and gave my last will and testament. However, the doctor managed to cure me and we returned to Jamestown a few days later. On Thursday, September 10th, the crew set out for the run up the Potomac River to Washington, D.C. 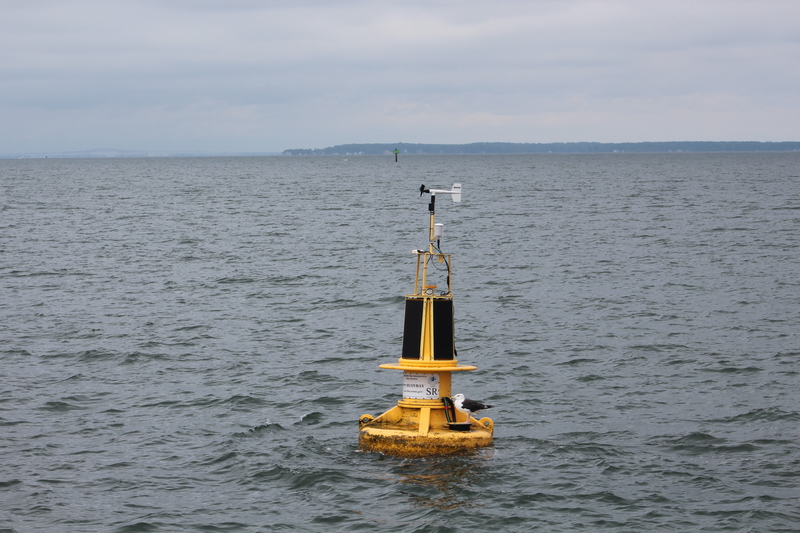 The crew passed the Potomac interpretive buoy as they entered the river. I spent a month exploring this river back in June 1608. Running out of food the crew persuaded me to run back down river after making it up river about 30 miles. The crew of Still Waters II anchored in the Coan River Thursday night. On Friday, the crew weighed anchor and headed up river to Poses Creek. At the creek is a restaurant named Gilligan’s with a dock that can accommodate larger boats. The crew docked and enjoyed the best fish and chips they have had while on this adventure. If I had places like this along the banks back in 1608, I would not have had such an angry crew. On Saturday, the crew weighed anchor and made the final push to DC. The journey was made mostly in the rain with overcast skies. 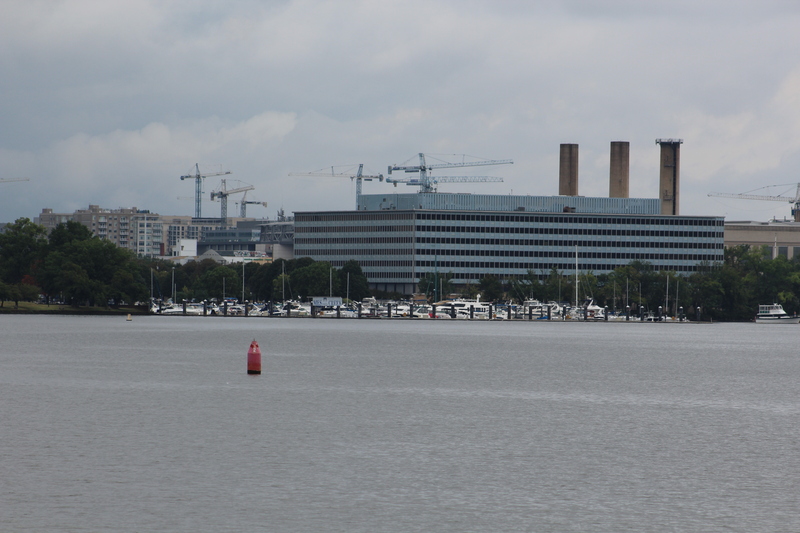 However, the crew could still see the sites of Mt Vernon, Fort Washington, Woodrow Wilson Memorial Bridge, and then the memorials in DC. 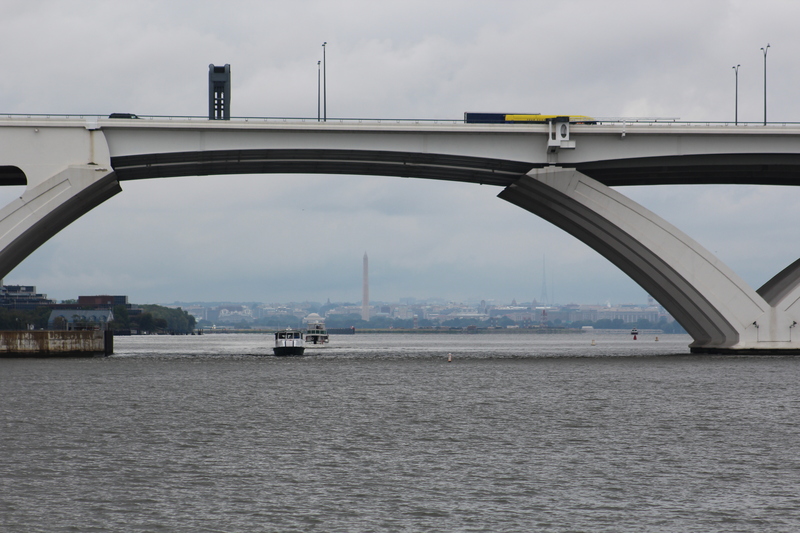 Just before the Woodrow Wilson Bridge, the crew passed the upper Potomac buoy. I passed this area back in June 1608 looking for the Northwest Passage and a suspected silver mine. Unfortunately I found neither. The crew plans to spend several days exploring Washington D.C. before heading back south and visiting Mount Vernon.